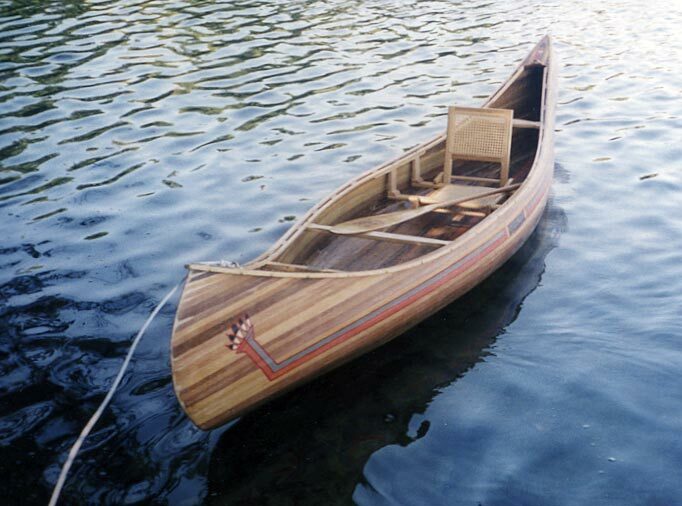 Though the design by B. N. Morris called for a 17' canoe, Mitchell Skinner shortened the design to 14' (with 33" beam)and turned it into a solo canoe, QUIET WATERS. He will be using this canoe to fly fish on the lakes of northern Maine. Launched in May 2002, QUIET WATERS has a strip cedar hull with ash rails, thwarts and seats. Plans are available from WoodenBoat. Email Mitch at mskinner@verizon.net.